Another day another leak from the set of the upcoming Joker movie, a film with a set that’s somehow less secure than Arkham Asylum. 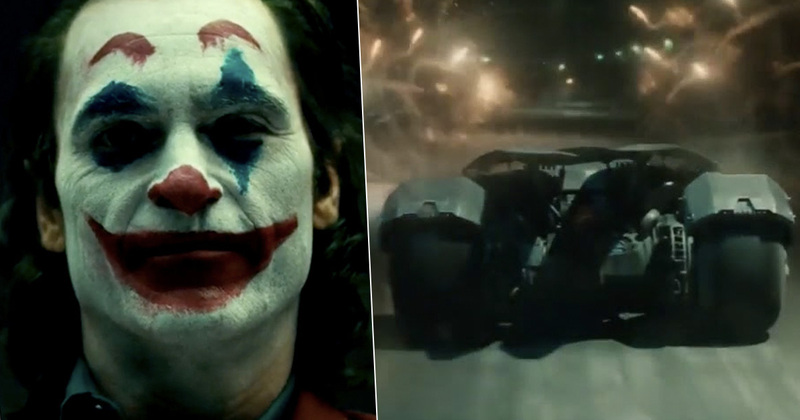 This time though it’s not a picture of Joaquin Phoenix in clown makeup it’s something that’s got the potential to be a lot more exciting: fans spotted the Batmobile. And it’s not just any Batmobile or one made for this film, it’s the 1960s Adam West version of the Caped Crusader’s car, famous for its black and red paint job. Now before you run off and tell all your friends that Batman’s definitely going to be in Joker there are a few caveats we need to address. The first, and probably the most important one, is that we don’t know if the car was actually on the set of the Clown Prince of Crime’s upcoming film. ho spotted the car and filmed it being driven away on the back of a flatbed truck, the Joker movie was filming nearby. Here you will see a very quick glimpse of the current Batmobile car being used in the filming of the new Joker movie in Newark New Jersey. Now it is true that Joker is filming in New Jersey and it does seem oddly coincidental that there’s a Batmobile in town when a ‘Bat film’ is in production but we’ve no proof it was for the film. 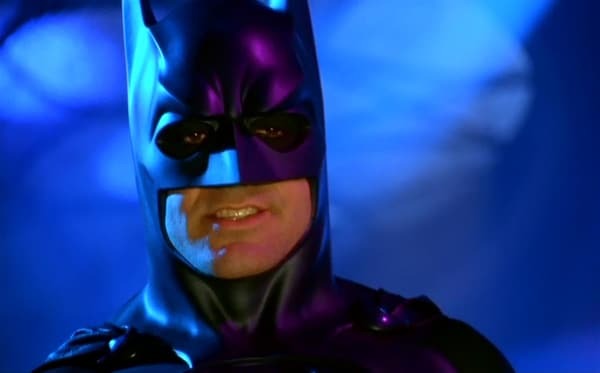 Another problem is that it’s been reported Joker is a prequel and Batman won’t be in it. We know Thomas Wayne is in the film thanks to the plot description and set photos have shown he’s running for mayor. Normally it’s the death of Thomas and his wife Martha (‘Why did you say that name? !’) that spurs their son Bruce into becoming Batman, so the timeline doesn’t quite line up. Some, however, have predicted that Joker will form part of a new line of films (allegedly titled DC Dark or DC Black) which will explore ‘Elseworlds’. For those who haven’t read a comic in the last 30 years, Elseworlds are ‘what if stories’ which alter key details in a DC hero’s story. Previous stories have included ‘What if Superman landed in the Soviet Union rather than Kansas?’ or ‘What if Batman was a vampire?’ but there’s one Elseworld story that fans are keen for the movies to explore. 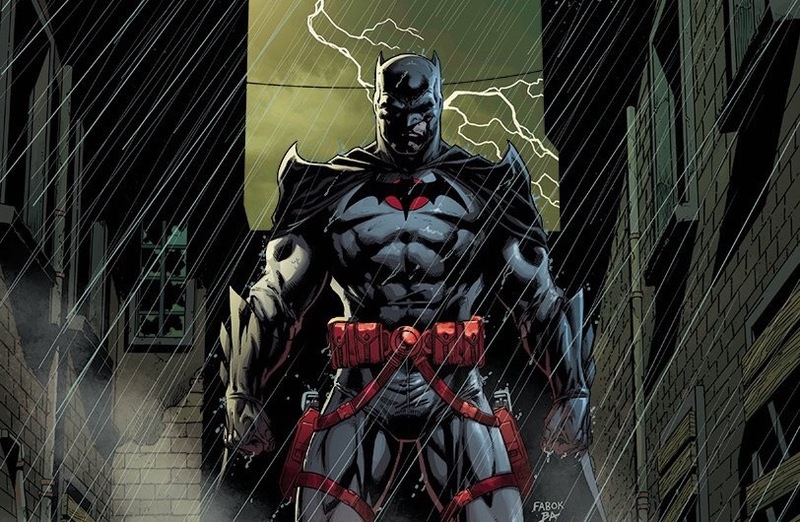 Flashpoint, a universe where The Flash stopped his mum being killed, is a dark and twisted world full of sinister parodies of the current DC heroes where, most notably, Thomas Wayne is Batman. Could Joker take place in the cinematic Flashpoint Universe? Well maybe. If I’m honest this theory doesn’t really hold much water because there’s a much simpler answer. Early Batman comics revealed that Bruce’s decision to become Batman was partly inspired by his dad wearing a Bat Man costume to a Halloween party a few weeks before he died (comics are weird). I think it’s much more likely that the Batmobile in this story is something Thomas Wayne will drive to a Halloween party, and they made it the 1960s car as a cute nod to fans. Sorry to crush your bat dreams. 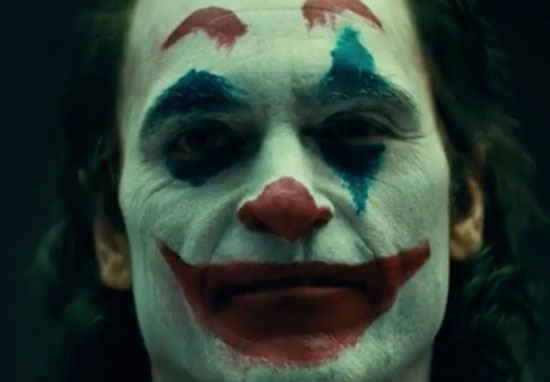 The Joker will hit cinemas on October 4, 2019. QUICK GLIMPSE OF CURRENT BATMOBILE BEING USED IN FILMING OF NEW JOKER MOVIE IN NEWARK, NJ.